While Forsaken may have done a lot to turn Destiny 2 around, there have been some understandable criticisms that have arisen as fans continue to play the massive and ongoing expansion. A lot of those have to do with the game’s sandbox and the viability of certain weapons and weapon types. In response, the latest Destiny 2 update buffs a number of weapons, including the Malfeasance and Wish-Ender Exotics. The new competitive Crucible mode Breakthrough has been reenabled with some fixes that should make it a more fair game. Gambit has also received a number of changes. Sleeper ammo gains have been reduced, while sword ammo has been buffed. The Ascendant Primeval Servitor required for the Malfeasance quest has had its appearance rates buffed, so players should start seeing the meatball more often than before. Quitter penalties have also been enabled, hopefully reducing the rates of players that quit out of a game when a match isn’t going their way. Finally, Exotic drop rates have been fixed by reducing the chance for duplicate Exotic items. Bungie hopes that this will give players a chance to get some of the new Forsaken Exotics, which haven’t been dropping frequently for many players. Exotic items that can be earned from quests have been removed from the loot pool as well, to hopefully reduce instances of duplicate drops. In the initial fight over the Breaker, the team with the most capture progress (high-water mark) will win the Breaker if time runs out without any Breaker progress present. There will still be overtime if time runs out with progress present, and the Breaker will go to the team with current progress at the end of 30 seconds, or to the high-water mark if progress reaches zero with no players on the Breaker. While a team is hacking the other team’s Vault, progress decay accelerates gradually during Sudden Death for up to 30 seconds, after which the round will end the moment no attackers are present in the capture zone. If the round ends in a draw twice, the match ends in a tie. Neither team will get Glory points from this scenario. When a player receives an Exotic, we now take into account all Exotics the player has found and weight them against Exotics they have yet to acquire. This lowers the player’s chances of receiving Exotics they already own. Bungie also put out a fun little video today highlighting the Destiny 2 Refer-a-Friend program, which offers exclusive rewards just for those that refer friends and complete the associated quests. Even if you never plan on using the Refer-a-Friend feature, the video is well worth a watch. It was also revealed that Destiny 2 was the top grossing digital console game for September 2018. Think the next game can sell as well? Destiny 3 leaks and rumors are already starting to swirl about. 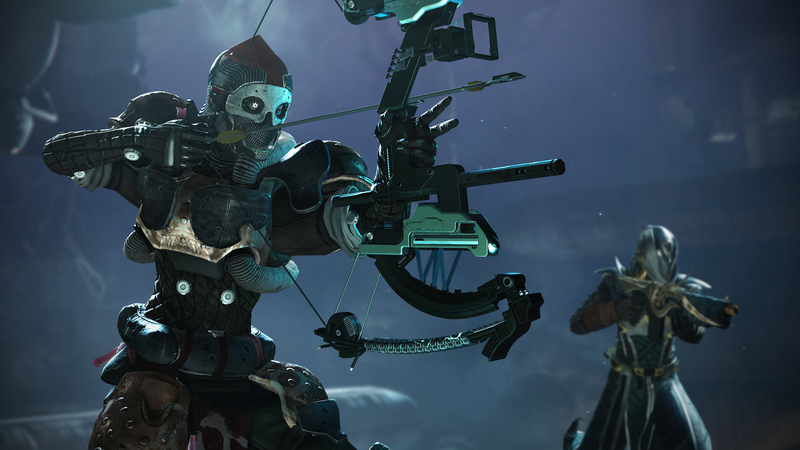 What do you think of the Destiny 2 update 2.0.5 changes? How many Forsaken Exotics did you get to drop before this patch? Let us know in the comments below.